The stock company "Kohinor-finance", being professional on Ukrainian investment market , is launching "Ukrainian Investment Site" project to make clear it's activities for investors. Here, you can become acquainted with the investment choices in Ukraine, paper work-flow rules acting on stock market, finance process dynamic and modification of investment environment. Our pages have been designed to be used not only by professionals. Any your questions, even the simplest ones, can be enlightened by our specialists. Our e-mail: kohinor@noo.kiev.ua - we are waiting for your questions. JSV "Kohinor-finance" is an exclusive partner on Noo Web Systems on the stock market and with corporative finance operations. 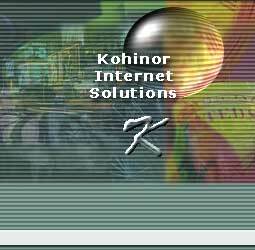 As a rule, "Kohinor" get an order for fast corporative buying of 50% stocks and more on the public markets. We make the "lightning orders" really fast and and with lowest prices. Internet trading on Moscow stock exchange. We provide this possibility for our clients worldwide.